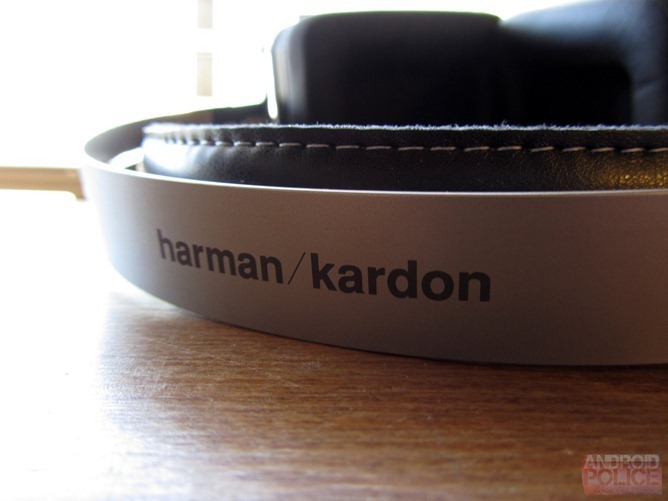 The Harman / Kardon BTs are a pair of high-ish end over-ear Bluetooth headphones, and the current street price for them is around $200. 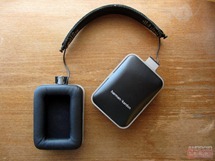 They don't offer active noise-cancellation, but they are extremely striking and very obviously a premium product. So, are they worth two-hundred of your big ones? I paired up the HK BTs with a Galaxy S4 and Note II with zero problems. Audio transmission sounded fantastic, and latency was well within the range I've come to expect with Bluetooth headsets. To pair them, simply hold down the "BT" button on the bottom of the left ear housing. These headphones support the apt-X encoding transmission standard, which allegedly improves audio quality on supported devices. I have yet to experience a scenario in which I have actually noticed a difference in apt-X versus the standard Bluetooth high bitrate transmission mode supported by Android. Battery life has been stellar, as well. The controls on the headphones worked, though the small size and position of the buttons didn't exactly win me over. I definitely prefer controls on the outside of the earphone housing, and I like them to be large and textured. While I'm sure one would get used to the buttons on the HK BTs, they're not optimal. The HK BTs can also be operated sans-Bluetooth with an included 3.5mm stereo adapter, though the charging / analog jack on the headphones is a miniature headphone jack, so you have to use the included cord (or a similar one) if you want to use them unpowered. 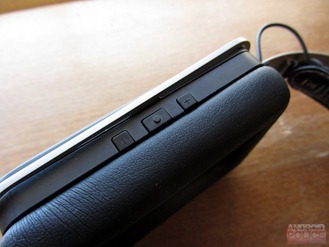 Charging is also accomplished through this port via an included USB adapter. 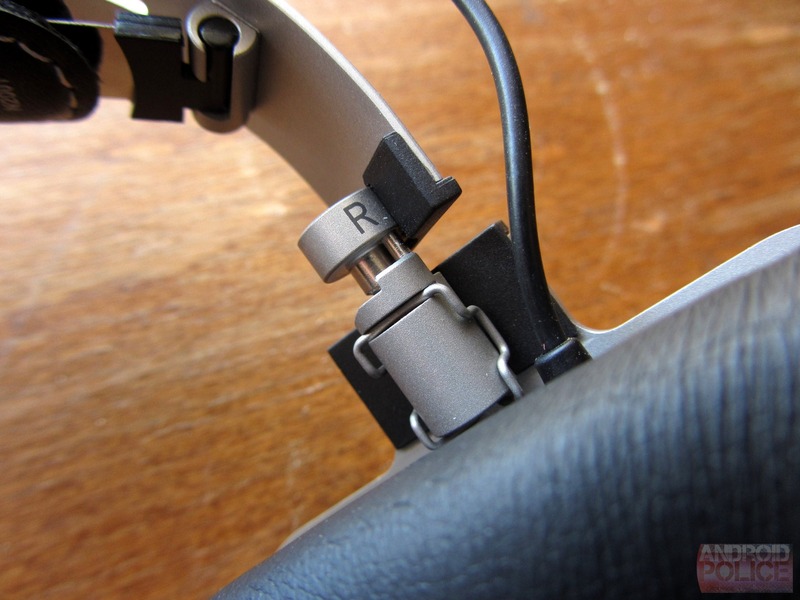 The headphones themselves seem very solidly constructed. 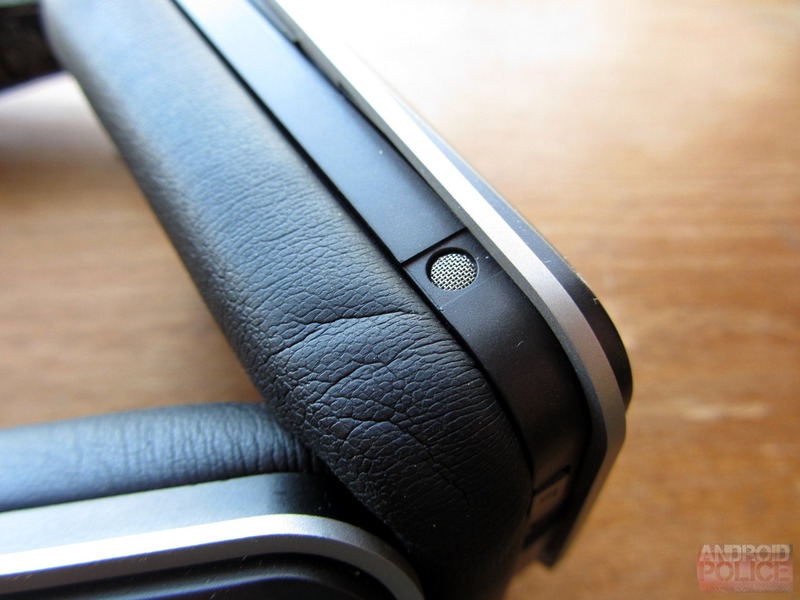 Most of the hardware, apart from the backings of the earphone housings, is aluminum. I feel very confident in their durability. The HK BTs use a band / sub-band arrangement that makes for quite an interesting fit on your head. The upper aluminum band can be swapped out for a second, larger band included with the headphones, which is pretty easy to swap out (the band is off in the second picture from the left above). The bands do not have rails by which to increase their effective size. This is because there is a second, inner band covered in leather that flexes based on the amount of stretch in the top band. The result is basically that the HK BTs sit very tightly upon your head, regardless of the size of your noggin. The upside here is that unless you have a head bigger than mine, you're unlikely to have any problem getting them to fit. They also include a super nifty carrying case, which you'll probably need, as the only folding portion of this arrangement are the earphones, which rotate to flatten out. They're flat enough when compacted to fit in a messenger bag or backpack, though they're by no means small. The advantage to this tight fit coupled with the Bluetooth functionality is that the HK BTs are exceptional in active use case scenarios. I'm pretty sure you could run vigorously with these things on without annoyance. Finally, I've read some reviews classifying the HK BT as on-ear, rather than over-ear headphones, and I don't think this is exactly true. My ears aren't exactly small, and these headphones easily envelop them completely, forming an acoustic seal. Your results may vary. The sound is excellent, though there are some characteristics to take into account here. First off, because the BT's sit so tightly on top of your ears, there is an isolation effect that tends to amplify echo / reverb in a way that isn't particularly natural. 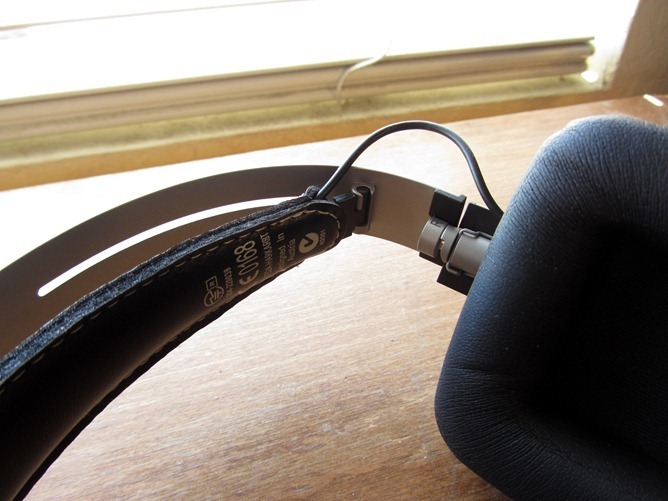 This is a pretty common phenomena on closed-back over-ear headphones, and the result may be something you enjoy, or find unsettling. Most people will interpret this effect as "tighter bass," though the reality is more that less low frequency sound is escaping, and thus more reverberation is occurring. I personally find this effect uncomfortable on tracks that aren't really meant to emphasize bass, but those who typically ramp up their EQ settings to emphasize bass (eg, electronica / pop settings) will probably enjoy it. There is decidedly more boom than I expected. Soundstage separation (aka stereo delineation) is not as good as I had hoped, and sometimes I have difficulty discerning left and right channel placement. Once again, this is an effect that is amplified by the tight fit of the BTs. That is not to say, though, that they are lacking for detail. Fidelity is extremely strong in easy-going tracks, though on particularly bass-heavy tunes, I feel as though the mids get a bit drowned out by the lower end of the frequency spectrum, making choruses feel "muted" at times. 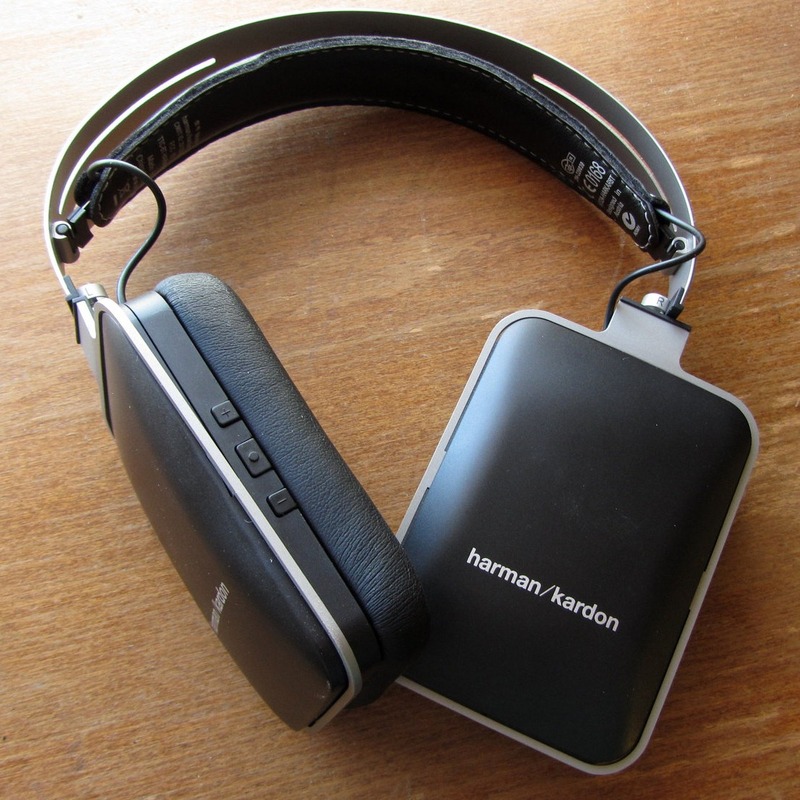 Still, the HK BT's are a decidedly enjoyable listening experience, and I've been liking their high level of noise isolation coupled with the wireless functionality. 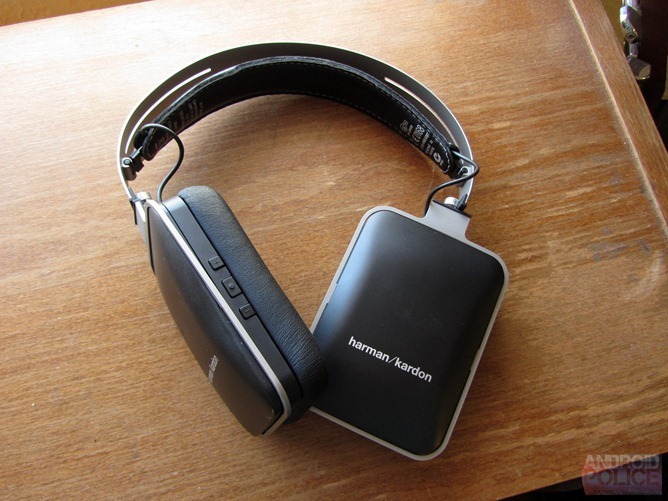 Because there is no active noise-cancellation, you don't miss out on nuance, and they aren't so deafening as to be dangerous when walking around in public. 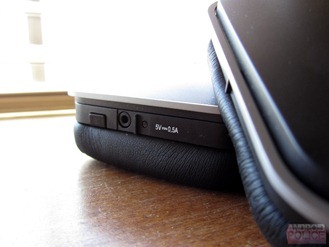 My point of audio comparison have been my Grado SR80i headphones, an open-back on-ear setup. This isn't totally fair in terms of fidelity, as the Grados do not have to cope with the issues of wireless audio transmission, aren't as well-built, and sit quite loosely on my head. However, they cost half as much. Compared to the SR80i, the HK BTs have inferior fidelity, inferior soundstage, and are far less balanced. That said, this isn't necessarily a bad thing as far as most consumers are concerned. 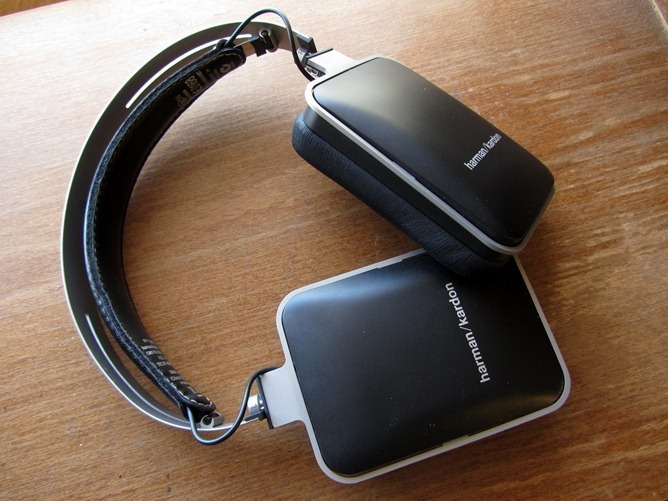 The excellent isolation and booming bass of the HK BTs is more likely to appeal to an audience that enjoys popular music, and is looking for an on-ear / over-ear headphone that is portable and provides good natural noise-cancelling properties. The Harman / Kardon BTs are an exceptional Bluetooth headphone, with excellent audio, great battery life, portability, and absolutely dashing looks (if they're your kind of thing). While there are a few concerns of note (tightness of fit, annoying controls), these headphones absolutely fill the role they were meant to. I'd have a hard time recommending them at the MSRP of $250, but they can easily be had for $200 at most retailers (eg, Amazon), a mark I think that fits better given their performance, portability, and construction materials. For mobile use (walking, exercising, travel, etc. ), the HK BTs are a stellar choice. While these aren't necessarily the best audio you can get for $200, their non-aural advantages are probably what most prospective buyers are after, and the sound they do provide is far from disappointing. 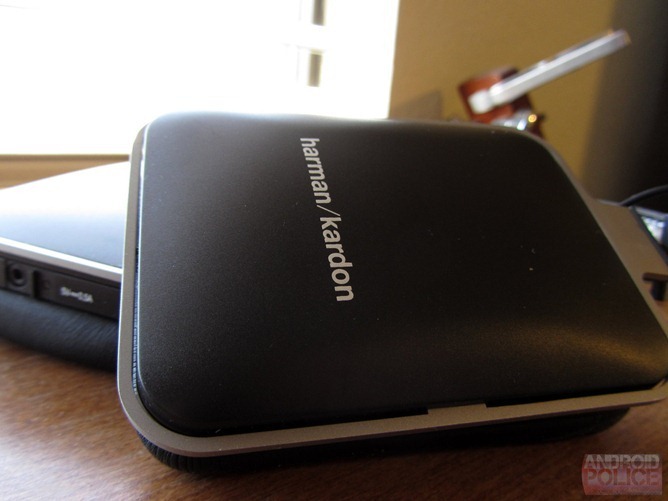 If you're looking for offbeat Beats alternative that's great for an active lifestyle, the Harman / Kardon BTs are a well-made, enjoyable product.